This may not be that big of a deal for older teens, but those who haven’t gotten their driver’s license yet may think that it is pretty cool to be able to do some things independently. Walt Disney World policies require that teens be at least 14 years old to enter a park by themselves (anyone under 14 must be accompanied by someone 14 or older). With the great transportation options offered at onsite resorts (buses, boats, monorails & walking) I feel comfortable letting my 15 year old go to a park on his own if he wanted too. With the Magic Bands for tickets and charging privileges it is even easier for him to go off by himself—and it makes him feel even more “grown up.” Of course he is very familiar with the layout of the property, and I do request that he spend most of his time with us. Safety and family always come first. Did you know that Walt Disney World offers a variety of sports venues that you can take advantage of on your vacation? I’m sure that sports-minded teenagers would love to spend some time away from the parks playing golf or mini golf, taking an archery lesson, or going on a guided fishing excursion. Show me a teenager who doesn’t like to eat—please! Walt Disney World offers such a variety of food options—adventurous eaters can certainly find something new to try and picky eaters can find their fair share of burgers, nuggets and pizza. From breakfast to dinner and all of the snack options in between teenagers can definitely eat their fill at Disney. My son loves to try new things, so we have a mix of our favorite “must-do” restaurants as well as some new options. He loves to go during Food and Wine Festival to sample the signature dishes from each country as well. And don’t forget the unique atmosphere at so many Walt Disney World eateries—50’s Prime Time Café, Sci Fi Dine In Theater, Be Our Guest, Coral Reef, and many others provide an entertaining atmosphere for teens too. This one is probably more of a hit with teen girls, but why not treat them to a spa day? While several of the deluxe resorts have a health club with massage options, the Senses Spas at the Grand Floridian and Saratoga Springs Resorts along with the Mandara Spa at the Dolphin offer full-fledged spa experiences. Guests under the age of 18 must be accompanied by an adult, so why not make it a girls’ day and go together for a mani-pedi or a facial? If your child is slightly younger there is a special menu of services for ages 4-12 at the Senses Spa. Guests must be 14 or older to use the health club. My teenager loves the pools at Walt Disney World—the best hands down is Stormalong Bay at the Yacht and Beach Club. If you are staying at one of those resorts you must schedule a day just to hang out at the pool, but the other resorts also have fun pools. All of the pools have organized pool games that are geared toward younger children, but there are some teenage centered activities like trivia or volleyball in the pool. Of course, just lying out in the sun and soaking up a few rays while reading a book or people watching is also fun for teens. Then there are the waterparks at Typhoon Lagoon and Blizzard Beach—lots of fun slides and wave pools to keep teenagers happy there. One of our favorite things to do at Walt Disney World is to rent a boat and taking it out on one of the waterways. The most fun for teenagers is to rent a Sea Raycer (then can drive it if they are 12 years or older and at least 5 feet tall). I recommend taking one out from one of the Magic Kingdom resorts and racing around Seven Seas Lagoon and Bay Lake. Another fun option is the Sammy Duvall Watersports Centre—you can rent a personal watercraft (Jet Ski), go parasailing, tubing or wakeboarding (some require an adult or licensed driver). Perfect adventures for teens! There are tons of fun things for teens at Disney Springs! There is food—back to #7 and always a hit. Lots of shopping opportunities to appeal to teen boys and girls. There are a lot of entertainment options too: bowling is so much fun at Splitsville, dinner and a movie at the AMC, or an amazing flight on Aerophile. 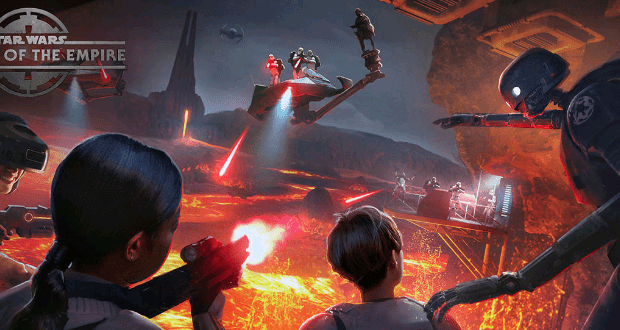 Better yet, check out the latest Star Wars interactive entertainment at The Void which offers a full sensory, immersive experience where you are walking around and experiencing the action inside of a simulation! What? You didn’t know you could take a surf lesson at Typhoon Lagoon? If you ask me this is a perfect activity for teens. Professional surf instructors teach you everything you know before hitting the wave pool to try it out for yourself. The only drawback for teens—the lessons take place early in the morning before the park opens. Call 407-WDW-PLAY for more information. If your teen is already an experience surfer you can also schedule “100 Waves”” for them during a private session in the wave pool before Typhoon Lagoon opens or after close. For more information visit: http://www.disneynow.com/profile/web/index.cfm?PKwebID=0x52707e8d4&varPage=home . Note: these options are not offered year round. Yep, Walt Disney World has some great thrill rides. Maybe not the same quantity as their neighbor up the I-4, but the ones they have pack a punch. Not all teenagers are major thrill seekers, so there are some “tamer” rides like Slinky Dog Dash, Seven Dwarfs Mine Train, Big Thunder Mountain Railroad, Avatar Flight of Passage, Soarin’, Test Track, Kali River Rapids, Primeval Whirl and Splash Mountain. But for those who really want an exciting ride—Expedition Everest, Space Mountain, Tower of Terror and Rock-n-Roller Coaster pack a punch!